Where learning music is fun!! 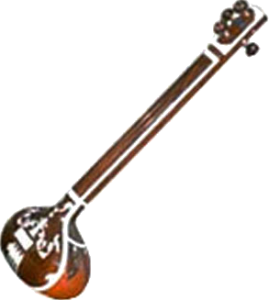 Tanpura is a four string drone instrument played essentially by a classical vocalist while singing. It is repetitively strummed creating a number of entrancing overlapping tones which creates harmonic resonance ambience for a raga. Male and female singers use Tanpuras of different sizes. Male singers uses large size tanpura, which have thicker, strings, which produces deeper sound to suit male voice. Similarly, female singers have smaller tanpuras suitable for high pitch voice of the women. Learning to play Tanpura involves understanding the basics of Notes (Swaras), tuning and playing strings.